Ngā mihi mahana o te tau ku a koutou katoa. E hika! it looks like an interesting year is developing in front of us, our new government has signaled its priorities and its up to us to contribute. 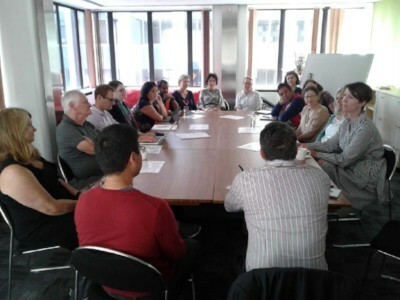 E hoa mā, at a recent meeting with community communications specialists we discussed opportunities where the community sector could add significant value through inculcating better outcomes. In particular, the current Open Government Partnership (OGP) consultation offers a fantastic opportunity for our comms specialists to drive our respective organisations’ key messages to better inform decision makers. Aue hoki, Hui E! had an opportunity late last year to provide analysis to inform the repositioning of the United Nations Development system, which in many ways is intended to influence national policy frameworks. Like our contribution towards the OGP this is another important way for our community sector to have a voice. Kia hiwa rā, our 1st Summit on the SDGs is slowly edging towards us, so please don’t miss out on securing your seat. This hui will provide a significant starting point for all sectors to discuss the most pressing issues and potential solutions. We know that the United Nations Development system is repositioning itself to deliver on the SDGs and that the United Nations Secretary General report indicates specific areas where more effort by States’ are required, which in general can be summarised into three points (1) better policy development (2) increased institutional capacity (3) whole of society coordination and collaboration. Our challenge is to make these high-level goals more relevant to our community sector in a way that we can all understand and contribute, so let’s start turning the language around and talk about child poverty rather than “SDG Goal 1”, or free tertiary fees rather than “SDG Goal 4”. Heoi anō, check out the things going on this month and we’ll be back next month with more community sector news and events. 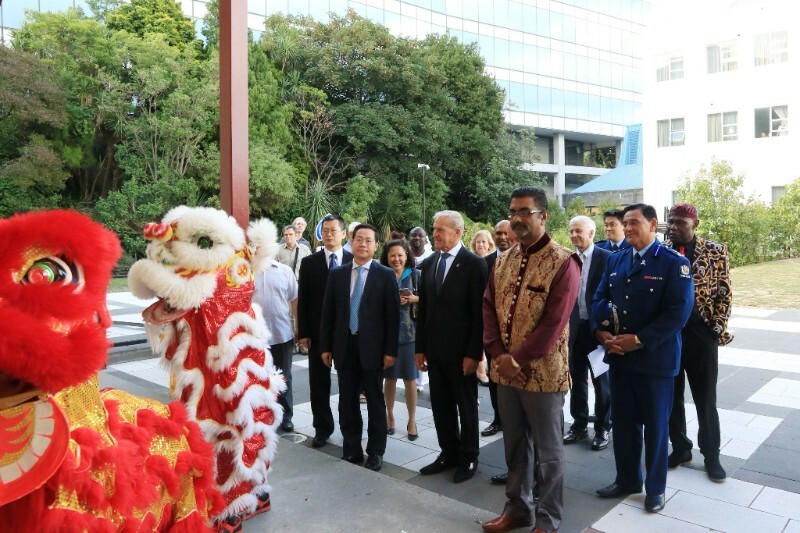 Over 300 guests from wider communities in Wellington region joined Multicultural of Wellington (MCW) and China Cultural Centre in New Zealand in celebrating the Chinese New Year on 30th Jan at the Pipitea Marae. MCW and China Cultural Centre in NZ signed a MoU for development working relationship in culture. 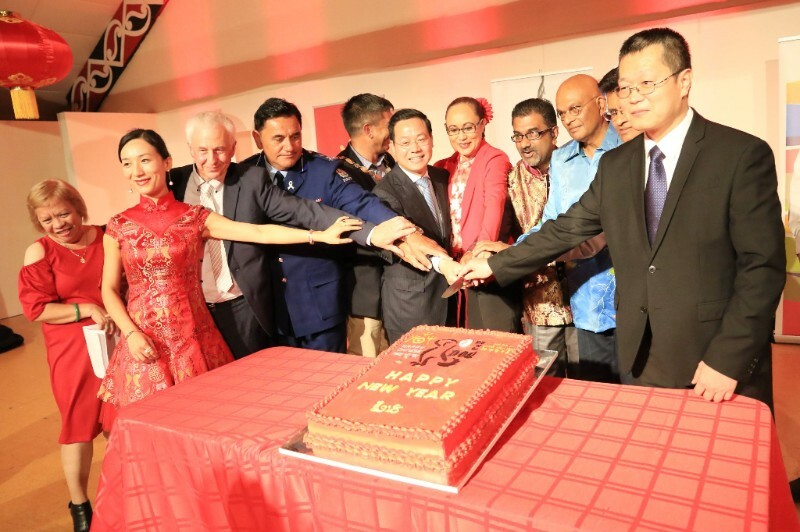 Photo caption below: (Left): Cake cutting -Mr Zongguang Guo, Prem, Mr Gurunathan, Raveen, Minister Jenny Salesa, Mr QU Guangzhou, Mayor Mike Tana, Wallace, Peter Gilberd, Ra. (Right): Lion Dance at CNY celebration. The SDG working group is meeting on Monday, 19 February 2.30-3pm to further discussion on how we can contribute to the well being of people here in Aotearoa NZ. A key piece of work leading up to the first NZ Summit on the Sustainable Development Goals on 23 April is the development of a civil society pledge. Let us know if you want to find out more, or come along. Reduce the proportion of children in low income households (low income before housing costs) from 15 percent to 5 percent. This reduces the number by more than half from 160,000 to 60,000. Reduce the proportion of children in low income households (low income after housing costs) from 20 percent to 10 percent. This is a reduction of 90,000 children from 210,000 now to 120,000. Reduce the proportion of children in material hardship from 13-15 percent now to 7 percent. This reduces the number of children in this group from 150,000 to 80,000. These targets would be published every three years, and the annual Budget would require Government to show its progress and highlight how the Budget would reduce child poverty. The Bill also requires governments to develop a comprehensive child well-being strategy. The Bill is in its first reading meaning it will now be debated in Parliament. The PM expects to make a “historic dent in child poverty” and is aiming to halve child poverty in New Zealand in under ten years. In her first 100 days speech at St Peters on Willis in Wellington on 31 Jan, Ms Ardern also touched on housing, employer, and kicking off a tax system to make it “fairer and more balanced”. If you missed the livestream, you can watch it here or read about it here. New Zealand participates in a five-yearly Universal Periodic Review in the UN Human Rights Council. UN member states make public recommendations on the human rights situation in the country under review. New Zealand had our second Universal Periodic Review in 2014. Our next review is in February 2019, which requires submission of a national report in October 2018. The report will cover New Zealand’s progress on a broad range of human rights issues. What can tax do for you? Let’s talk tax. The government is about to kick off its public consultation on the tax review, announced at the end of last year. Hui E! has been invited by the independent advisor to help her and the secretariat to the tax working group (made up of officials from Treasury and Inland Revenue) shape its community engagement and communications approach. We want to support the conversation in the communities and maximise this opportunity to help shape a fairer New Zealand. Please get in touch with us if you have ideas for how we can do this. More information about the review, the terms of references and latest news can be found athttps://taxworkinggroup.govt.nz/. Stats NZ is offering two sessions this February across the country for anyone interested in information coming from the 2018 Census (60 mins presentation incl Q&A), and those who plan to use census data to create their own outputs (60 mins workshop). Click here for more details. To register your interest to attend, please emailcensusexternalrelations@stats.govt.nz, stating your name, role, organisation, and which session/s you wish to attend. Spaces will be limited. Earlier in 2017 six community engagement workshops were held around the country to better inform funders, including the Department of Internal Affairs, and Charities Services about how best to reduce the administrative burden on community organisations. Hui E! attended the Wellington workshop. The findings of the workshops have now been released in the Reducing the Administrative Burden of Grant Funding and Charities Registration Report. The report includes key recommendations for the Department and funders in general. Every year thousands of international students choose to study in New Zealand. Research shows that International students also go through settlement issues like all other refugee or migrant families. 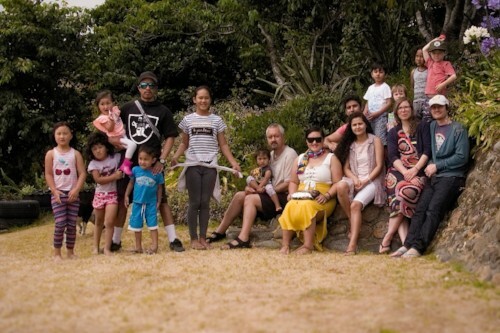 INSTIL (International Student Training, Information and Legal) services are new services provided by the Ethnic Family Centre to support ethnic international students in Auckland. The services aim to ensure the overall wellbeing of international students so that they are able to settle in faster and in a well-informed manner. 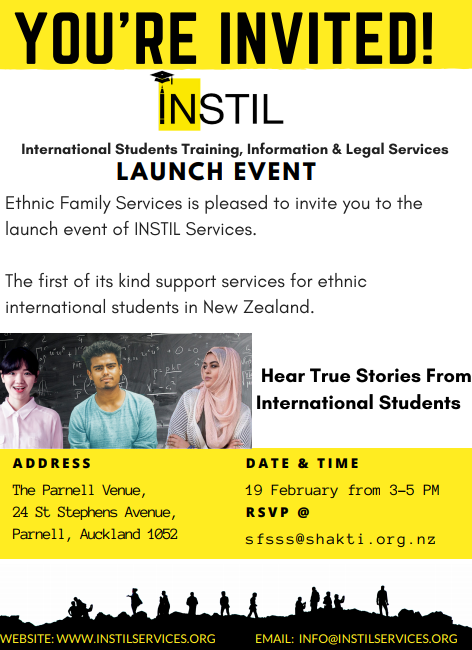 Shakti Family Centre is pleased to invite you to the launch event of INSTIL on Monday 19 February, 3-5pm at The Parnell Venue, 24 St. Stephens Avenue, Parnell, Auckland, 1052. RSVP for the launch tosfsss@shakti.org.nz by 14 February. In December, the Australian government announced a new senate inquiry into the SDGs. Currently seeking public submissions, the inquiry aims to understand a range of issues that could impact a national implementation — including government and community awareness of the SDGs, the potential costs and benefits of a domestic implementation, governance structures required to achieve meaningful outcomes, how results can be communicated to impact society, and whether Australia’s support of the SDGs through its official development assistance program needs to be focused on core areas for more sustainable outcomes. A report with recommendations to government is expected by November. We must rapidly #StepUp & transform our ways, deeply decarbonize the economy, shift from #FossilFuels to #RenewableEnergy, reform the industry & agriculture & protect forests #StepUp2018. The 2018 Global Risk Report tells us that we are on the brink of catastrophic consequences for humanity and the economy if we don’t act urgently and fast, changing our current ways and moving to a decarbonized economy, completely powered by renewable energy. It is true that the Global Risk Report paints a gloomy picture for this year but there are many opportunities for countries, businesses and other non-state actors to step up and change that situation. Under the UN process, countries can make the Talanoa dialogue, where they discuss efforts to strengthen their climate commitments, a success and commit in this year’s UN Climate Talks (COP24) to more ambitious action by 2020. The New Zealand Coalition to End Homelessness is hosting a conference on the 21st February 2018. The theme of ‘He whānau whare kore, he kai mate hau/Addressing Whānau Homelessness’ broadens our understanding of whānau/family to include whānui and all communities of support. It is from an understanding of our interconnectedness that we can work together to address the struggles impacting the diverse communities that we belong to. Registrations have now closed but you can follow what’s happening here. The 2nd Pacific Climate Change Conference will be held in Wellington from the 21-23 February 2018 and will bring together a broad range of voices on climate change, from the science to the impacts to the policy and public implications. Click here for more information and to register. The TechSoup New Zealand Conference is about knowledge sharing, problem solving and embracing technology to help your charitable organisation make a difference! Find out more and register here. And if you are quick you might still get 20% off, with the coupon code TSNZNEWSBONUS20. Registrations have opened for this upcoming conference “Perspectives on Charity Law, Accounting and Regulation in New Zealand” at the end of April at Te Papa. This conference will be focusing on issues relating to defining, taxing, funding, measuring, and regulating charities, as well as a look to the future and the upcoming review of the Charities Act. Find out more and register here. Questions can be addressed toStevenMoe@parryfield.com. Here’s a great opportunity to address that all important question – How do we know we are making a difference? And how do we do this well, when change is a constant? Inspiring Communities and ANZEA are running a workshop focused on Developmental Evaluation for those that have to report on outcomes. It is a fresh approach that lets you develop and innovate, as well as to track, monitor and evaluate your initiatives as they develop. Kate McKegg and Nan Wehipeihana are world-leading evaluators; so don’t miss this chance to gain some real and practical insight into innovative, culturally responsive and ethical evaluation. Here’s the link for registrations and more info. The New Zealand National Commission for UNESCO launched its inaugural Global Citizenship Education Award, open to the education sector and community groups. The Award is guided by #SDG 4.7 and open until March 2018. For more information click here. Four Catapult Community Leaders Scholarships are made available each year. Applications for 2018 Scholarships will open in February 2018. Find out more by clicking here. Spark Foundation is looking for new projects to invest in, with the intent of providing long-term social benefit to New Zealand. A total of approximately $1 million is available annually to invest in a range of projects. Applications are now open until 5pm 23 February. Charitable groups and community organisations from around the country are encouraged to apply, whether operating at a community, regional or national level. Read more about it here. The Resolution Institute Scholarship provides for up to two New Zealand students, recent graduates or workers in the not-for-profit/NGO sector to attend our 5-day Mediation Workshop (valued at $3,600). Applications for the mediation training scholarship close on 23 March. Read more about it here.